“Why should mechanical stress caused by “faulty movement patterns” always “lead to microtrauma & injury” as proposed by systems like FMS? Why can’t tissues just positively adapt and get stronger just like a normal biological tissue? IF indeed faulty movement patterns were the cause of injury, all those cerebral palsy patients, stroke victims, neurologic disorders and amputees (who run faster than most of us) should be in complete pain. Many double amputees have no particular pain. The compensations and asymmetries are 100% in these amputees and though we think they should be crying out loud in pain they continue to run around. Maybe that movement pattern is “ideal” for them and their tissues have simply adapted to it”. The radiologic and clinical assessment of 150 patients found NO correlation between patient evaluation and MRI findings. The impression obtained from an MRI scan does not determine whether stenosis is a cause of pain. Since MRI does in fact identify narrowing of the spinal canal, and this has been the whole basis of diagnosing stenosis with MRI, these results also strongly imply that a narrowed spinal canal does not (alone) cause the pain. MRI findings of spine degeneration are present in high proportions of asymptomatic individuals, increasing with age. Many imaging-based degenerative features are likely part of normal aging and unassociated with pain. Chin-Teng Chung et al. Eur Spine 18;(10) 2009. There have been minimal investigations as to the changes in spinal structures during traction which may prevent exploration of the possible therapeutic mechanism of cervical traction. 96 radiographs were reviewed comparing axial to anterior-lean (AL). This entails the patient seated and facing the traction apparatus (as opposed to typical over-the-door units where the patient faces away from the door and weight). The results suggest two benefits: the posterior disc spaces were significantly widened vs. axilla posture. Since one of the main functions of the disc is to dampen compressive loading the better an instrument reduces posterior loading then theoretically the better effect. Secondly the ‘extension moment’ created by the mandibular/occiput sling was counteracted by the anterior/flexion skull position (more pronounced occiput “pull” into flexion. Comment: interestingly the age-old mandibular/occiput sling still remains the most common form, worldwide of cervical traction. So this study gives us comparative information on the sling from axial to anterior but not a comparison of the iconic ‘occiput-exclusive’ unit (Saunders/comfort-trac types). However as our short video on the Pro-neck seated device suggests; when patients cannot tolerate or improve with supine methods AL positioning affords an excellent alternate…additionally Laser or US can be effectively administered during the traction to help improve healing as well. About 50% of all adults have been to a Chiropractor. 14% have been in the last year, 12% in last (5) years. 65% of adults (18-34) have never been to a Chiropractor. 50% of adults have a positive view of Chiropractic. 50% “agree” or “somewhat agree” that DC’s are effective at treating neck or back pain. 25% of adults “agree” or “strongly agree” chiropractic is dangerous. 47% who have not been to a Chiropractor see it as dangerous. Among the 51% who have never been to a Chiropractor uncertainly of COST, number of VISITS and EDUCATION represent barriers to use. 46% seeing a DC in the last 5 year said they would utilize it more often if it weren’t so expensive. 43% of Americans believe Chiropractic care is too expensive. 44% believe it requires too many visits. 50% do not know if their insurance covers the care. Results: Commonly used chiropractic diagnostic methods in patients with LBP to detect manipulable lesions are NOT reproducible. These procedures do not provide reliable information concerning where to direct manipulative procedures. Results: Reported indices of agreement were generally low. Pain palpation reported more acceptable levels, although no one method could be deemed superior. Comment: many of the tried & true procedures we utilize for finding the ‘right/specific adjustment’ area have come under increasing pressure in the last decades. Static palpation assessing motion has no reliability and in the face of ‘force closure’ tests and shear instability testing likely assesses “hyper” not “hypo” mobile segments. Motion palpation has remained unreliable and likely invalid in at least 10 studies. Short legs, though showing good interexaminer reliability are likely invalid. With 90 degree leg-bending the reliability drops to ‘below-chance’. Even instrument adjustment proponents like Dr. Colloca have publicly excoriated the Activator “tests” as non-sensical. So…since axial-traction/decompression need not require or rely on inter-segmental analysis or specificity (even IF you knew the exact disc-level you can’t get to it with any precision)…we assess for the simple differential of “compression” vs. non-compression i.e. motion disorder (inappropriate muscle activation patterns or motion control perturbations). We get much more reliable and valid findings and can be less reliant on spurious or dubious procedures to ‘fix’ things that can’t be determined with any degree of reproducibility. 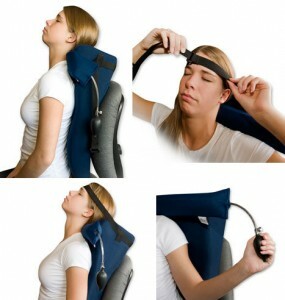 Decompression “gets at” compression sensibly, safely intuitively and reproducibly. Cameron’s book on physical agents for rehabilitation echo’s many of the tried & true clinical suggestions that I and others in the ‘decompression industry’ also recommend. “Optimal patient positioning: try to achieve a comfortable position allowing and muscle tension to relax, allowing separation of the vertebra. The relative degree of flexion or extension can determine which surfaces are most effectively separated. The flexion position can result in greater posterior separation, the extended in more anterior and the neutral in a centralized effect. Unilateral symptoms can be addressed with the force being offset more to one side”. “For most application prone or supine is chosen. Though supine may be more common Prone positioning is most advantageous if flexion is a problem OR if the symptoms are helped or reduced by extension. Greater lumbar paraspinal muscle relaxation and less EMG activity have been reported with the Prone posture vs. supine. Clinically, symptoms of discal origin are also most reduced in the prone position”. “The split-table reduces the amount of traction force lost to ’friction’. Initially the table should remain locked so it doesn’t move as the patient moves into ideal ‘treatment-position’. The sections should then be slowly unlocked to control the speed at which the subsequent force is applied”. Goertz: “…both good and bad. 60% of participants believe DCs’ are effective in treating back or neck pain, however less than 10% of recent users (of Chiropractic) would go to a DC first to talk about their health and nearly 25% believe chiropractic is dangerous”. “Patient trust is fundamental…when we focus on spine-care we are within our “circle of trust”. Spine care makes sense to people, it is consistent with our education, research and success stories people hear from their friends and families. I think the Gallup report shows us if we start pushing against the boundaries of that inner circle of trust we start to lose people”. “Nearly 60% of people think we are effective in treating back and neck pain. Far fewer are still with us when we start talking about general wellness care”. “Many MDs have relied heavily on the American Academy of Family Physicians for continuing medical education via the American Family Physician and the AAFP home study programs. The AAFP prides itself on its evidence-based approach to medicine. In general, it delivers. But the recent FP Essentials Number 432 on “Chronic Pain Management” fell short. It recommended treating chronic pain with acupuncture, chiropractic, touch therapy, and S-adenosyl methionine (SAM-e), presenting them in a way that misled readers into thinking that the recommendations were based on good scientific evidence. They were not”. “With 6,500 peer reviewed journals and over two million papers published every year, it is easy to find a study to support pretty much any point of view. John Ioannidis taught us that most published research findings are false, with preliminary studies frequently being overturned by larger, better follow-up studies (see Cochran collaboration). When evaluating the evidence for a treatment, it is not enough to find one or two positive studies. It is essential to also look for negative studies and for systematic analyses that weigh all the published evidence, and to put all the available evidence into perspective. The authors failed to do that”. Yepper! There is no escaping the evidence that regular moderate exercise is associated with a host of medical benefits. Among those benefits are perhaps improved memory and cognition, and possibly a decreased risk of developing dementia. The latest study to show this correlation involved younger and older adults who wore a step-monitor. The number of steps they took during the study interval was then correlated with their performance on neuropsychological testing. The researchers found that for the older adults, but not younger adults, more physical activity correlated with better overall cognitive performance, but especially for face-name recognition. It is possible that healthier older adults are both more physically active and cognitively nimble, because of underlying biological fitness. More cognitively active older adults may also be more physically active – the lines of cause and effect are plausible in multiple ways. Several studies conclude the odds of the SI joint being directly involved in cLBP is from 5-15%; its contribution in acute pain is nebulous. Orthopedic tests create an odds ratio of about 75% for SI involvement if several (4 of 5) of the assessment tests are positive. Conversely if 4 of 5 are negative an equal odds ratio exists. Recently a few studies now suggest the thigh thrust and sacral compression may be the most pertinent. Mcgill also describes an oscillation/rebound test created by the vertical fist placed under the sacral base being rapidly closed…thus creating a ‘bounce’ and a mild irritation to the structures. The thigh thrust is designed as an SI assessment. The supine patients’ thigh and knee are bent to 90 degrees and the testers hand is positioned on the sacral base. A vertical transmission of force through the thigh via the clinicians body stresses the joint and tissues. Pain in the SI is a positive test. The torsion effect puts stress on the soft tissue structures of the SI. It is possible that reproduction of symptoms for the patient in areas commonly referred to by the SI joint may also indicate a positive result. The Thigh Thrust has shown specificity of up to 92% in 3 systematic reviews and sensitivity of 80-96%. 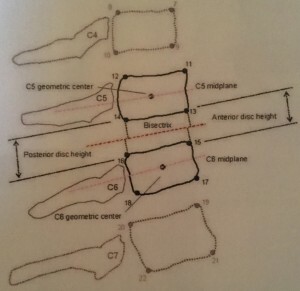 In 1986 an excellent study on the cervical lordosis was published in Spine by Gore et al. They found an average of 22 degrees as the typical cervical curve configuration. Only a minority; 9% with a kyphosis neck were found to be a symptomatic. Both Gore and studies by Owens and Hoiris clearly indicate a 21-22 degree curve as measured between C2-C7 may be considered an approx. normal. These findings suggest a deep lordosis may play a role in keeping the neck pain-free (or less susceptible). In terms of degeneration those with a deeper lordosis tended to have significantly less end plate sclerosis and osteophytes. Again suggesting lordosis may help maintain the cervical spines structural health. Additionally, though some with a loss of lordosis or a kyphosis may not exhibit pain they may be in the minority and there is no reason to believe such deformities are “normal variants” or equally as acceptable as a structural component of the cervical spine. A conclusory statement from Harrison on this topic is: ” a great majority of studies on pain in the cervical spine suggest braces, analgesics, placebos and rest give comparable levels of relief to spinal manipulation….thus it makes sense that Chiropractors would better serve their patients by attempting to rehabilitate the cervical curve than simply ministering to their symptoms. Kyphosis deformities are NOT normal variants”. I designed the NeckDeck as a cost effective means to engage the majority of patients with a simple and comfortable entrance into the realm of cervical curve restoration via extension remodeling traction.